Sa Bum Nim TerHaar began studying Martial Arts in 1970 while in the Republic of Vietnam with the 82nd Airborne (a combat unit to which he was attached). He continued his studies of the martial arts in North Carolina with WuShu Master Cy. While learning WuShu he also took Kempo Karate and Full Contact Kick boxing with Master Tom Griffin; earning a rank of instructor in WuShu and a Brown Belt In Kempo Karate. After moving to Las Vegas in the early 1980s, Sa Bum Nim TerHaar began studies in Hsing-I and Pa Kua with Sifu Dale Shigenaga. Later, he trained with Master Phil McGuckin; earning Black Belts in TaeKwonDo, Judo, JuJitsu, Hapkido, and Akido. When Master McGuckin Moved to California, Sa Bum Nim TerHaar started The Universal Martial Arts Karate School with Sensei Bill Armstrong. 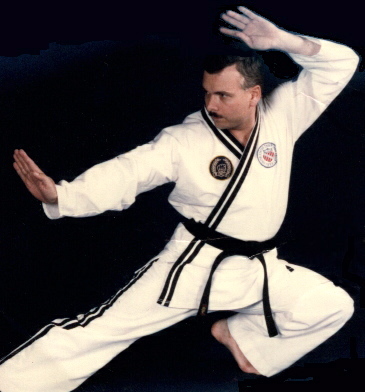 In 1986, he established the TerHaar TaeKwonDo School. After hearing there was a need for a martial arts instructor at Brinley Community School, Sa Bum Nim TerHaar relocated TerHaar TaeKwonDo School there in January 1990. Ms. Jennifer Dilley began her studies with Master Mc Guckin and Sa Bum Nim TerHaar. In 1993, Ms. Dilley joined Sa Bum Nim TerHaar as an instructor. Ms. Dilley currently holds a third degree Black Belt in TaeKwonDo. Ms. Dilley was the United States Silver Medalist in TaeKwonDo in the 1989 USOC Junior Olympics.